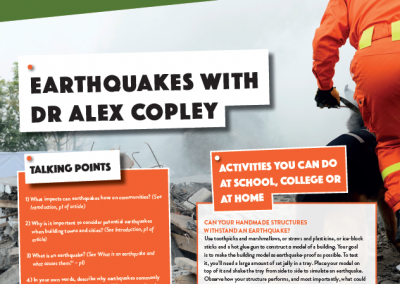 These activity sheets and education / career resources can be used in schools, colleges or at home, and are suitable for all age groups (11-19 years). They cover STEM, STEAMM and the social sciences. 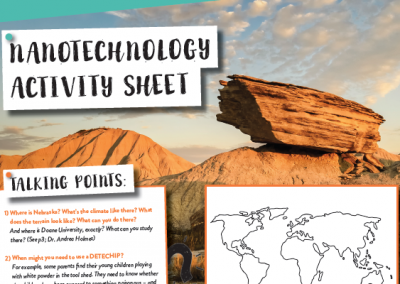 Check out our latest activity sheet! Check out our latest education / career resource! 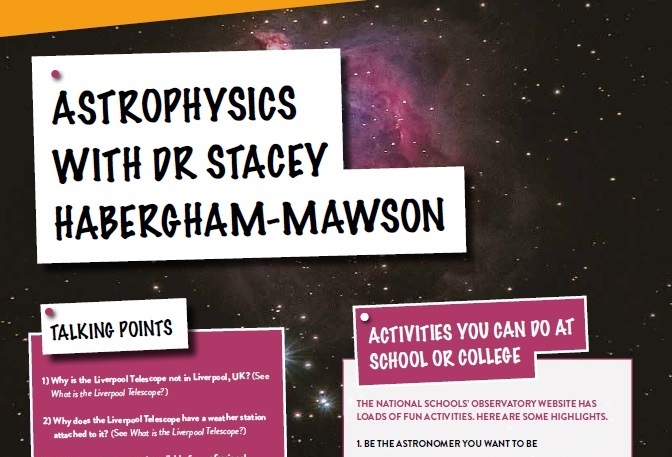 Have a go at using the Liverpool Telescope from your home, and try out other space activities to see if astronomy is the career for you. Become a plant detective and identify common plant diseases. 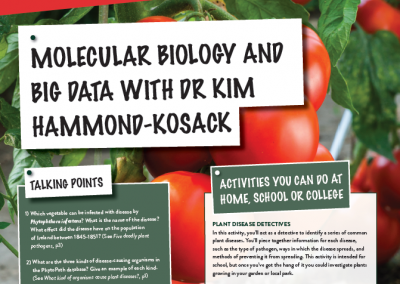 Learn about plant genetics and diseases, and why Big Data is so vital. 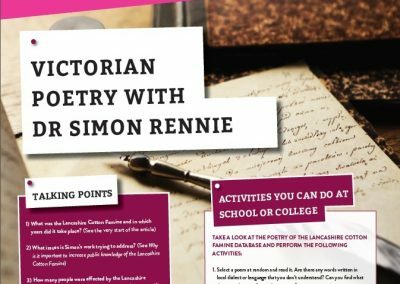 Uncover working-class Victorian poetry from the Lancashire cotton famine database, learn more about it and use it as inspiration to write your own poem. 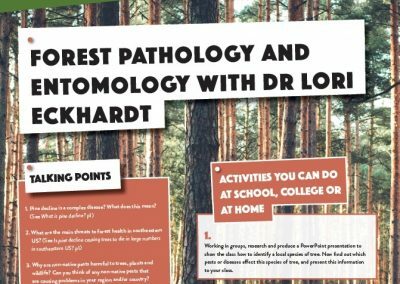 Explore the trees, woodland and forest near you and use this resource to identify insects and plant diseases. 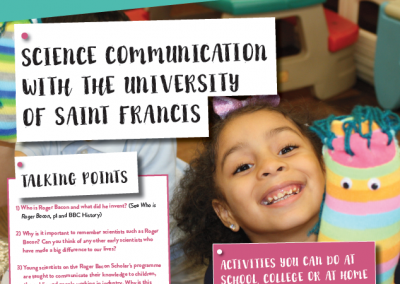 Find out if you’re a good communicator and learn how to talk about complex ideas to non-scientists. 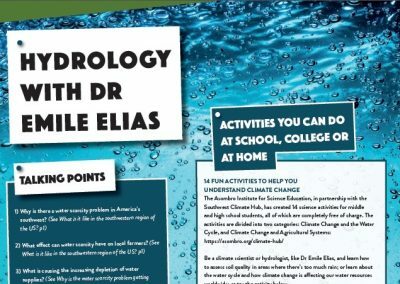 Explore unique resources from the Asombro Institute for Science Education, aimed at arming you with key information on climate change, the water cycle and agricultural systems. 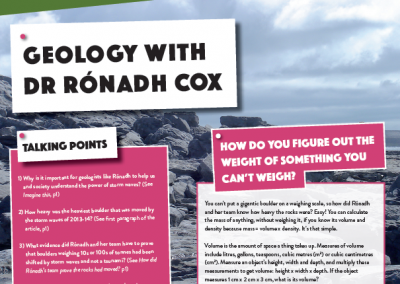 Discover how to measure objects that are just too big to put on a weighing scale, and use photogrammetry to make a 3D image of your friend! Can Storm Waves Move A Boulder As Heavy As Six Blue Whales? Discover nanotechnology and learn how to make artificial snow and a liquid crystal thermometer. Chris and her team have designed an app to help young people build on their resilience. 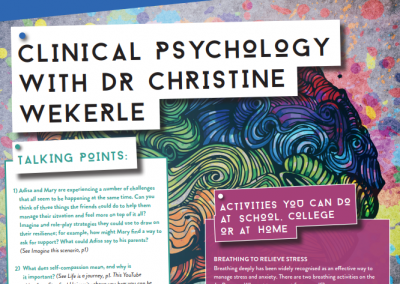 Explore clinical psychology and find out what the contents of your pockets say about you! 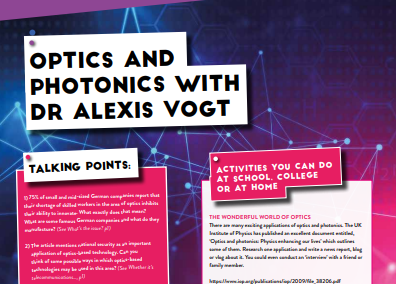 Almost all the technologies we use today are reliant on optics and photonics. Get a free DVD. Or, make your own telescope, light fountain and shimmering lens. Tissue engineering and stem cell research are a relatively new science, offering exciting prospects for human health. 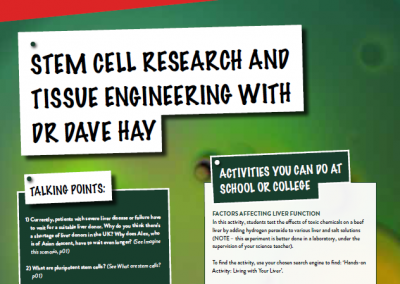 Discover what stem cell research can do for us, and the effects of toxic chemicals on a beef liver. 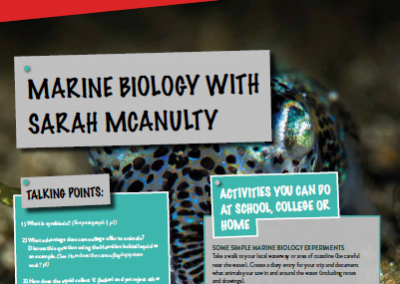 Find out more about working in marine biology, how studying sea creatures can help us understand our own bodies, and test your local waterways with water testing kits. What Can We Learn From Bobtail Squid? 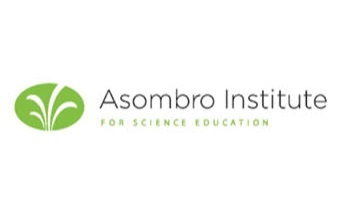 Asombro Institute for Science Education is a non-profit organisation dedicated to increasing natural science literacy through place-based education. Skype a Scientist matches scientists with classrooms around the world. Find out how to book a Skype session with one of over 2,000 scientists. Amazing Apprenticeships works with the UK Government to provide information on UK apprenticeships. 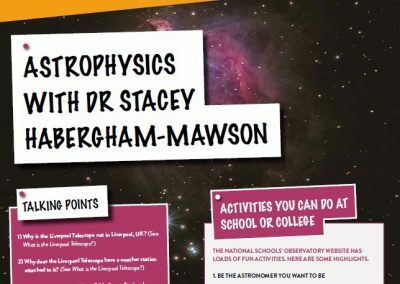 STEM Learning offers free teaching resources, CPD, talks with STEM ambassadors and bursaries. Although UK-based, many of its resources are relevant worldwide. NSTA promotes excellence in science teaching. Primarily US-based, its teaching and CPD resources are relevant worldwide. WISE (Women into Science and Engineering) campaigns for gender balance in science, tech and engineering, and has lots of resources for young women and teachers.